The trophy is now back with France and hosting duties has now been turned over by Russia to Qatar. 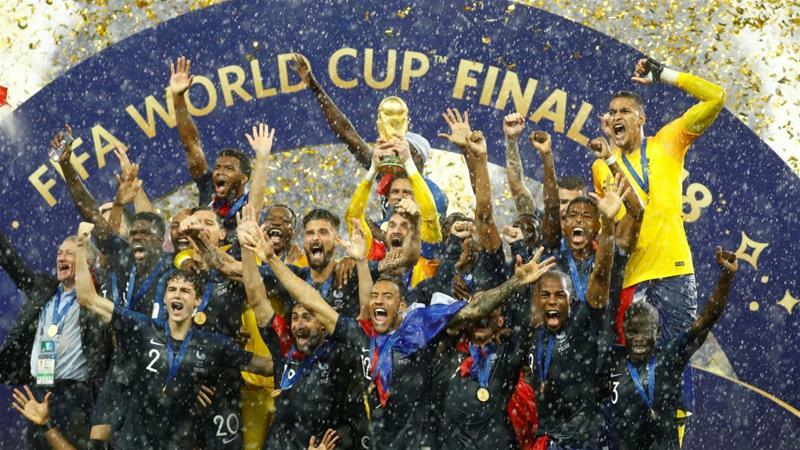 France’s masterful 4-2 victory over Croatia early on July 15th officially closes the 2018 edition of the FIFA World Cup in Russia. Truly, football’s grandest stage is one event that is never without its share of drama, surprises, and small triumphs. But for now, let’s look back on some of the most unforgettable moments – on and off the pitch – in Russia, in no particular order. Cleaning up after themselves after a big sporting event is customary in Japan, still, what the fans of the Blue Samurais did came as a “shock” to supporters of other teams. Instead of gloating after Japan’s 2-1 victory over Colombia, Japanese immediately whipped out trash bags and proceeded to pick up plastic cups, bottles, food waste, and other rubbish. A number of video clips captured by spectators who witnessed the noble act made the rounds on social media. It wasn’t just in victory that Japanese fans did this. Even after their team’s heartbreaker of a loss to Belgium in the group stage, they still made sure to clean up Rostov Arena while tears streamed down their faces. 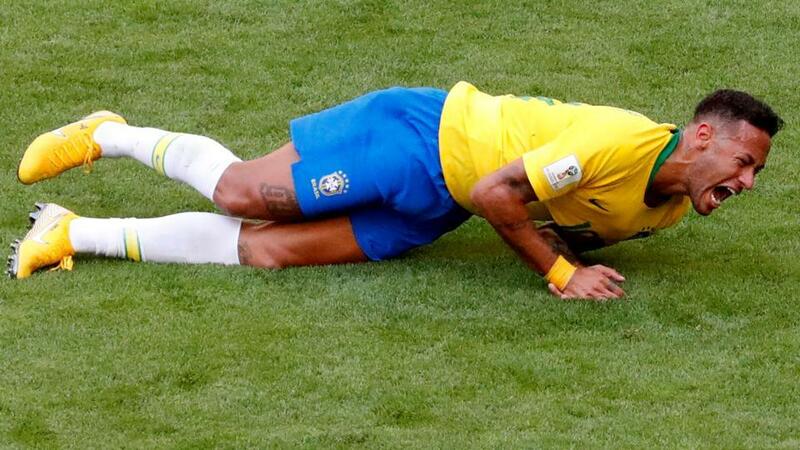 For years, Neymar has earned harsh criticism for his alleged diving or exaggerating a foul if a defender so much as touches him. In Brazil’s group stage match versus Mexico, his critics again feasted with their no-holds-barred commentaries and memes. The Brazilian, undoubtedly, is one of the best in the sport around, scoring twice en route to the five-time World Cup champions’ quarterfinal run, but his “theatrics” always earned the ire of opponents. Mexico coach Juan Carlos Osorio even called Neymar’s actuations against his team’s last-16 loss to Brazil a “shame for football”. Regardless if you play with or against each other, extending respect towards a fellow player is the quintessential display of sportsmanship and Cristiano Ronaldo is one of the best examples. 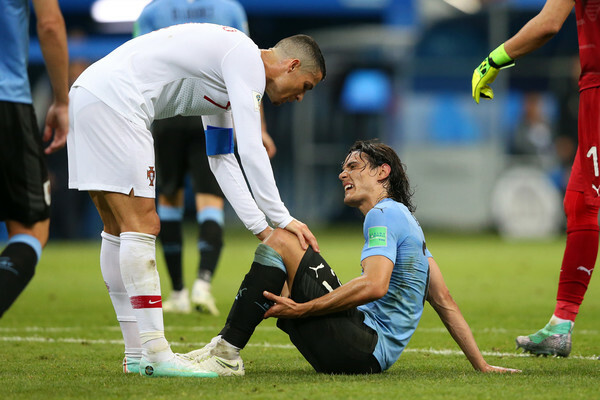 In Portugal’s crucial match against Uruguay, the former face of Real Madrid paid no mind to the time winding down on the clock and rushed towards an obviously hurt Edinson Cavani after La Celeste’s main man suffered a leg injury in the Round of 16. Uruguay went on to book a 2-1 win. Ronaldo may have been on the losing end, but is still a winner for his class act. Even in retirement, the Argentine legend can still stir up some controversy. 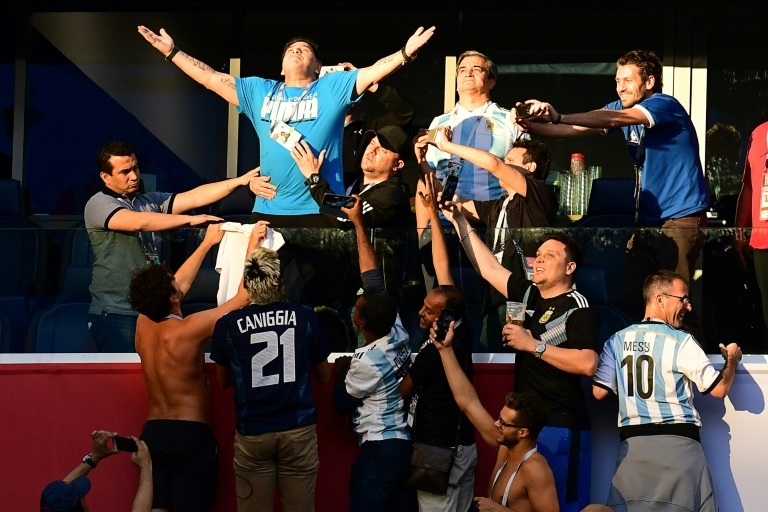 The 57-year-old Hall of Famer once again was the center of attention as his “two-finger salute” from the VIP box to celebrate La Albiceleste’s 2-1 win over Nigeria was caught on camera and drew plenty of criticism. He again made headlines after Argentina was ousted by France after making a comment that he can reverse the team’s fortunes should he be named national team coach. 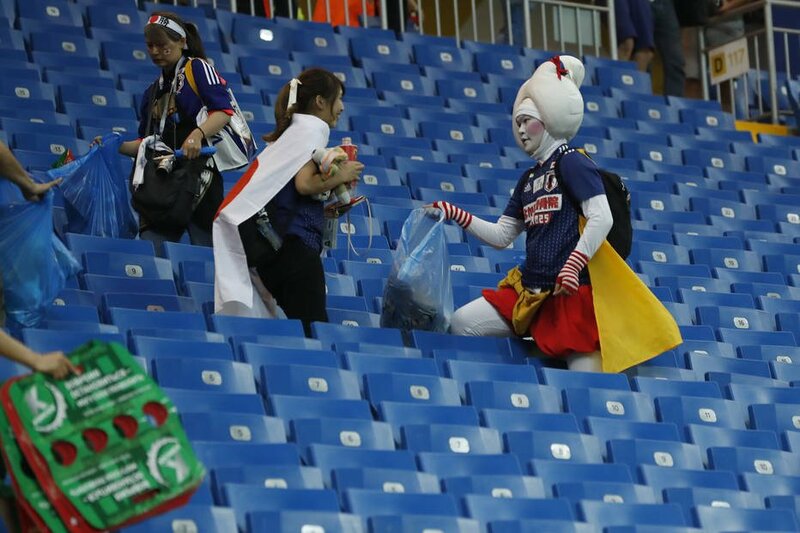 It is no surprise why Japanese fans were admired for cleaning the stadium after the Blue Samurai’s matches – because the team itself leads by example. 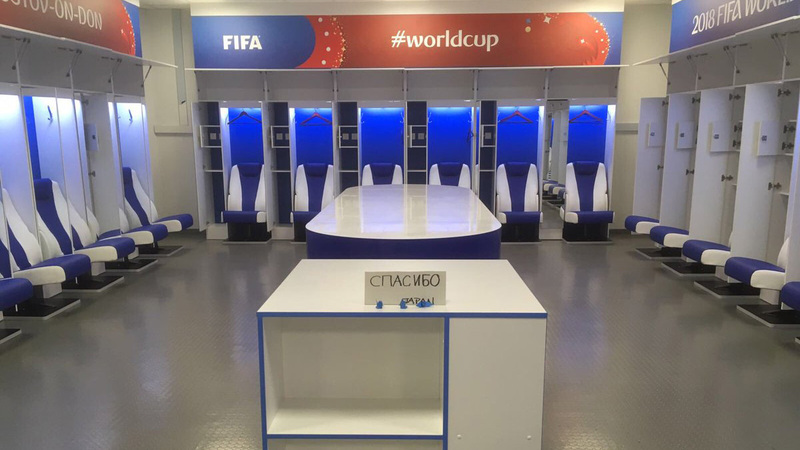 After being booted by Belgium from the tournament, Team Japan displayed class and sportsmanship by making sure they left their locker room sparkling clean and even left a note that said “спасибо” (Russian for “thank you”). It rained on France’s parade – but this did not dampen Les Bleus’ mood at the center field of Luzhniki Stadium. After all, it’s been a two-decade wait before France made it back to the pinnacle of football. Add to that President Emmanuel Macron’s hamming it up on Snapchat for midfielder Paul Pogba and doing the dab with defender Benjamin Mendy inside the locker room. Vive Le France! The 40-year-old football-loving head of state was pictured cheering from the stadium. 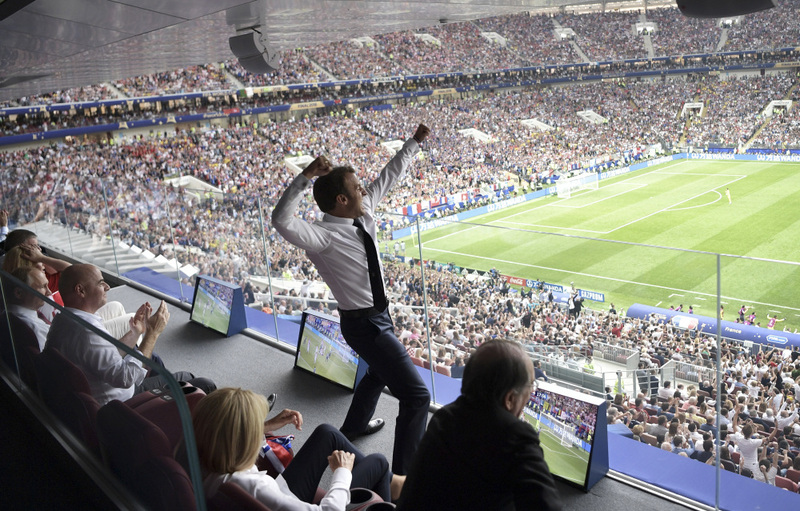 Sitting beside Russian President Vladimir Putin and his Croatian counterpart Kolinda Grabar-Kitarovic, Macron leapt to his feet to celebrate every goal made by Les Bleus. Macron, who used to play left-back in university football teams, will receive the team at the presidential palace in Paris soon as the victorious squad touches down from Moscow. Got some more to add to the list?